Marsh Harrier is hunting roosting starlings. 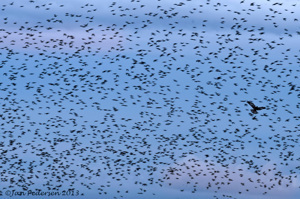 It is very dangerous - should this male get to close in or under the flock - then he will be a target of the starlings eruptive shitting and puking in order to chase him away. Unwary young raptors have died in this way. 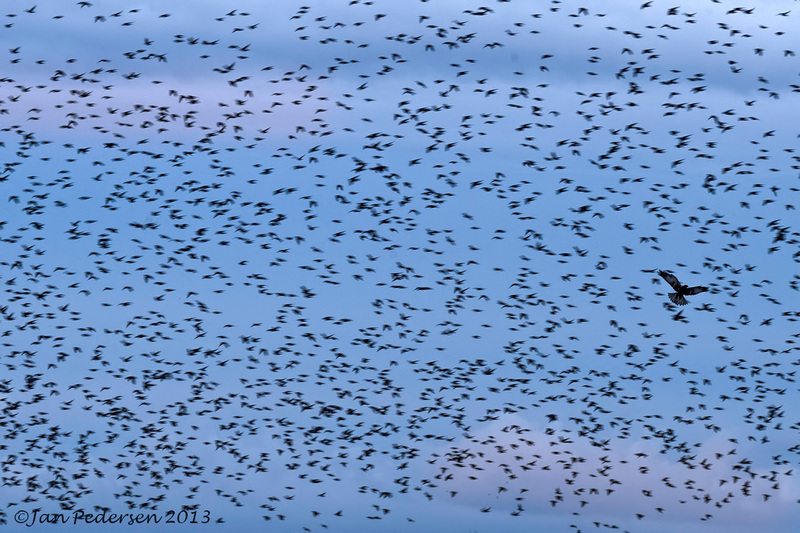 From "Sort Sol" (Black Sun) in Denmark where flocks of hundreds of thousands of starlings are roosting in the marshlands.